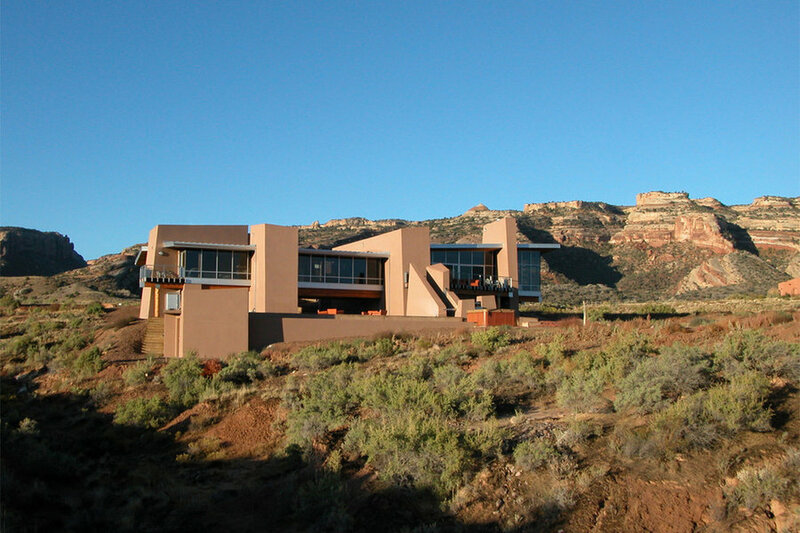 High desert home between drainage gorges near Colorado National Monument. evening view of Living Room deck. 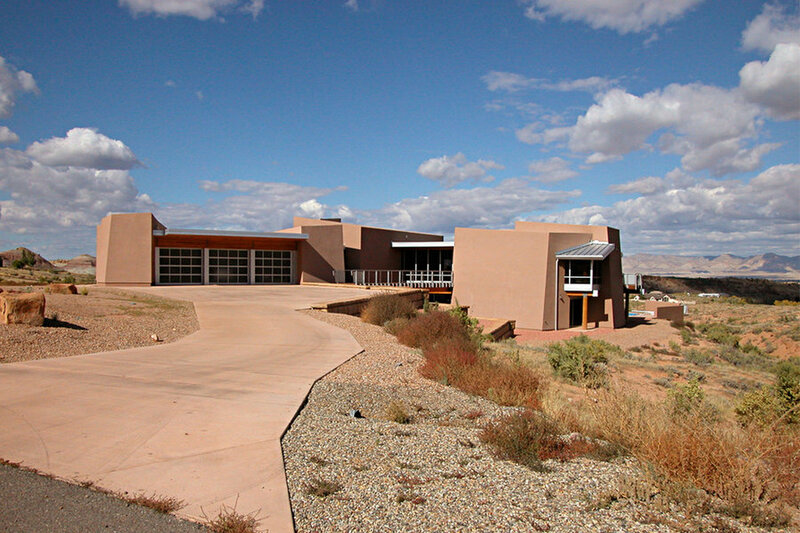 photo: Jim Gempeler, GMK architecture inc.
driveway approach. 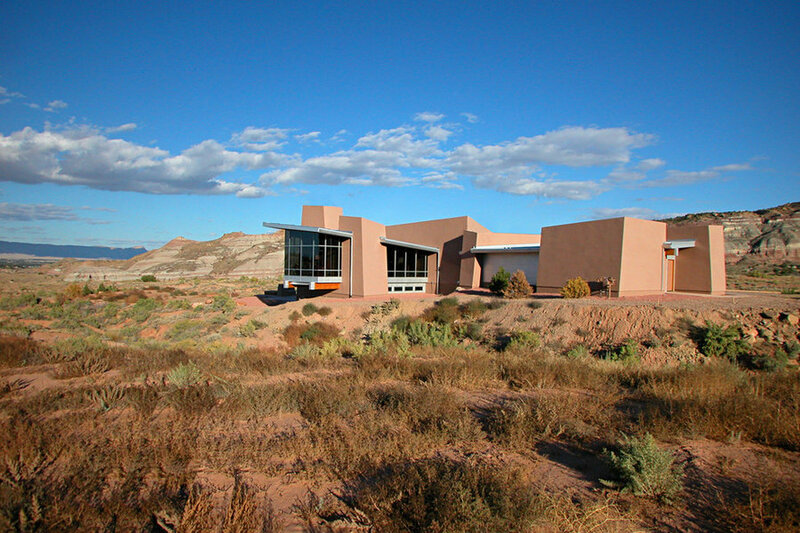 photo: Jim Gempeler, GMK architecture inc.
street view with Grand Junction valley beyond. photo: Jim Gempeler, GMK architecture inc.
street view photo: Jim Gempeler, GMK architecture inc.
pool side view photo: Jim Gempeler, GMK architecture inc.
pool deck with valley beyond. 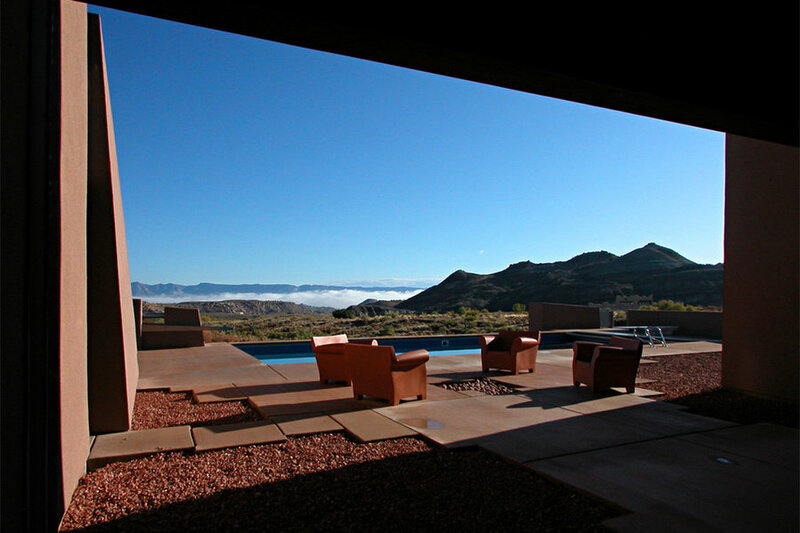 photo: Jim Gempeler, GMK architecture inc.
view from Dining Room with pool and valley beyond. 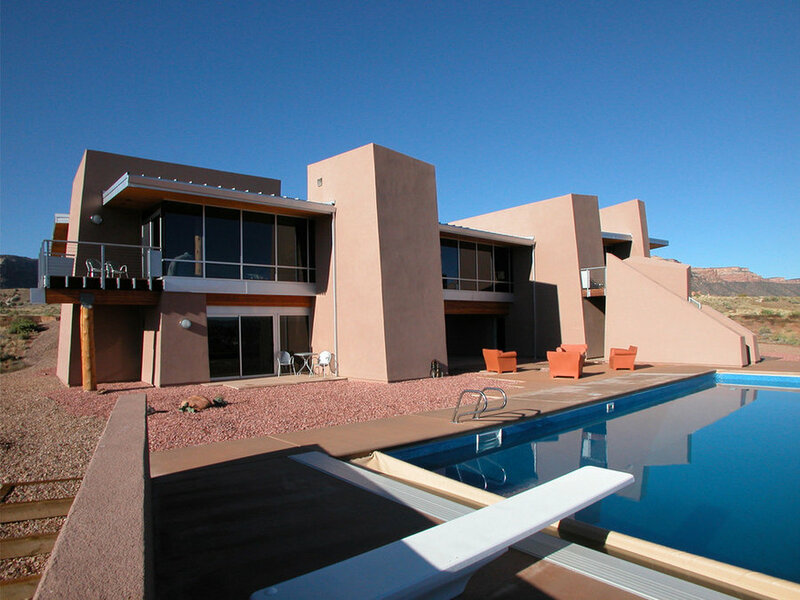 photo: Jim Gempeler, GMK architecture inc.
view of house from pool patio. 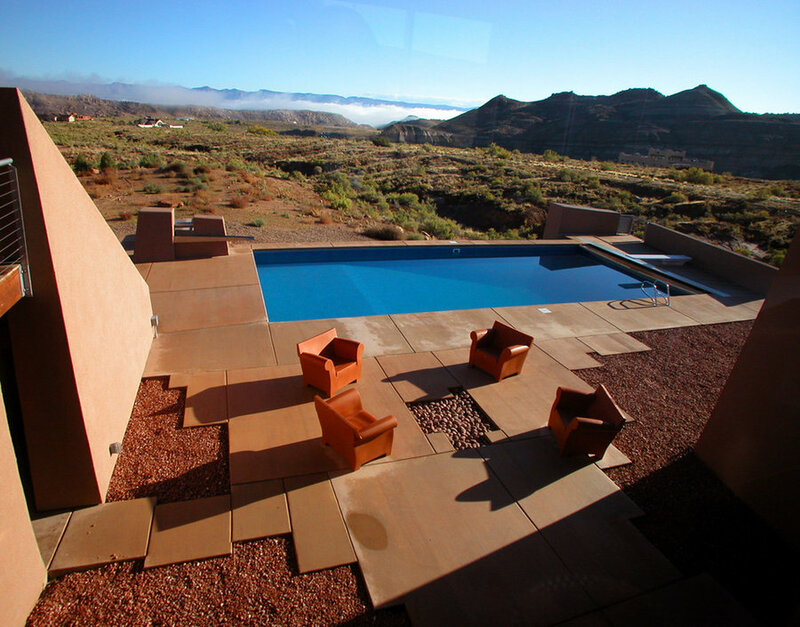 photo: Jim Gempeler, GMK architecture inc.
stair from Living Room deck to pool patio. 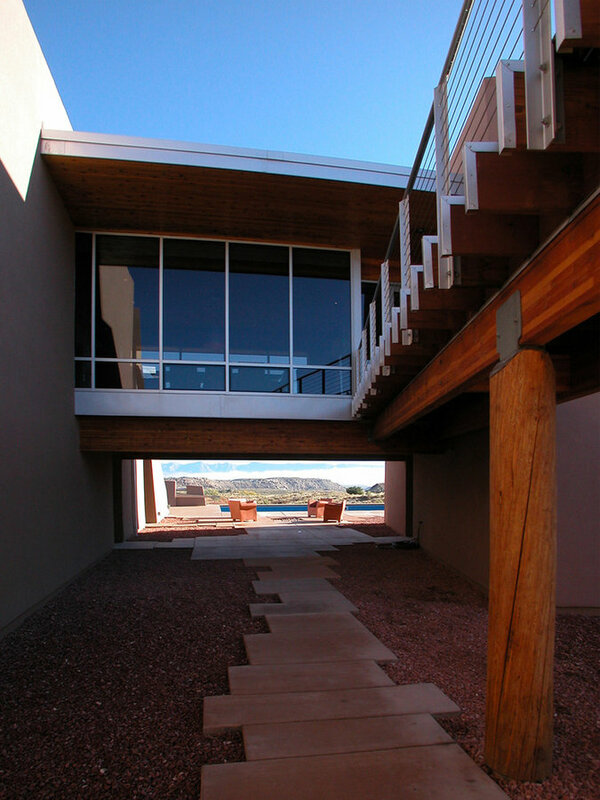 photo: Jim Gempeler, GMK architecture inc.
entry bridge view from driveway. 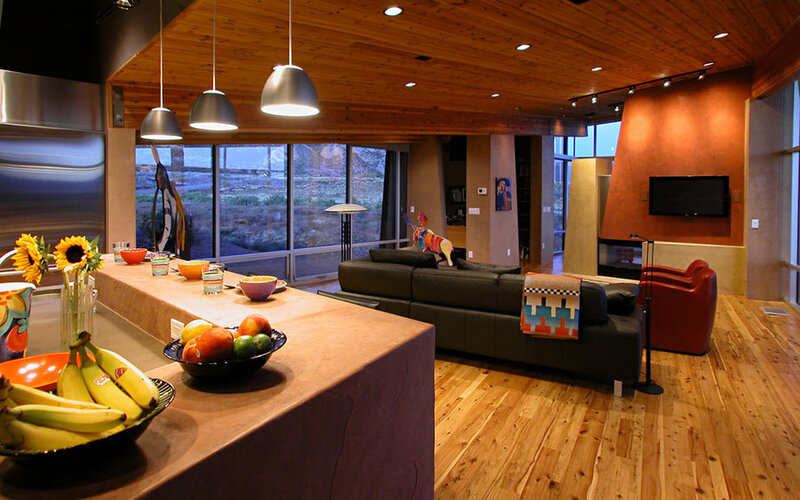 photo: Jim Gempeler, GMK architecture inc.
view below Dining Room to pool patio beyond. 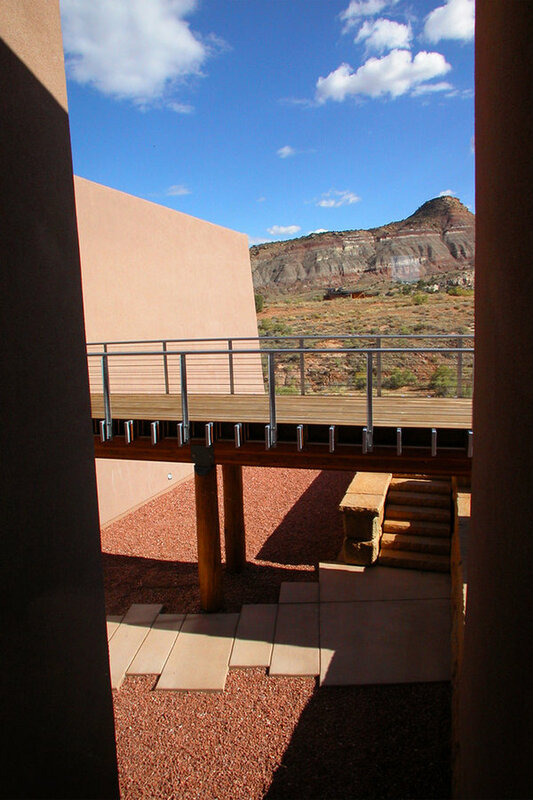 photo: Jim Gempeler, GMK architecture inc.
entry bridge and mountain view from interior hallway. 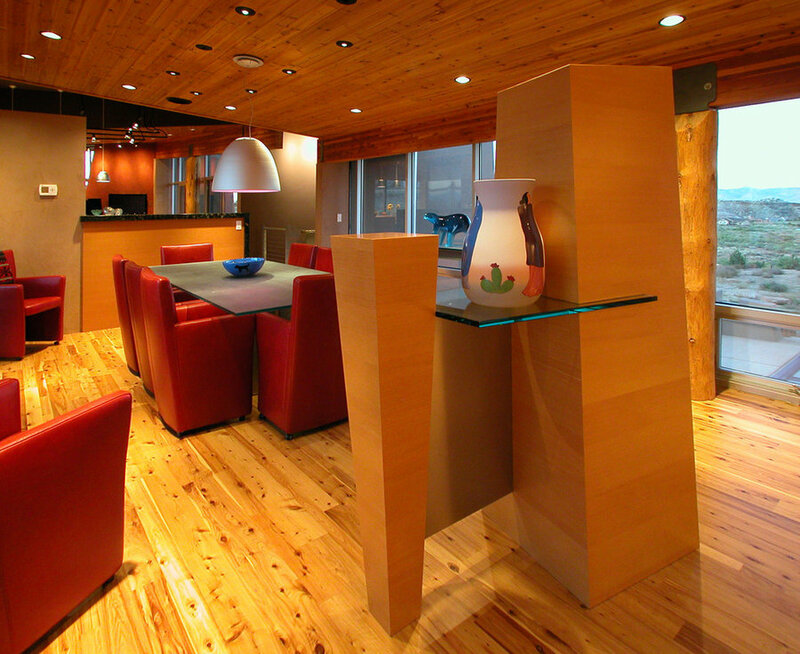 photo: Jim Gempeler, GMK architecture inc.
view from Entry to Dining Room beyond. 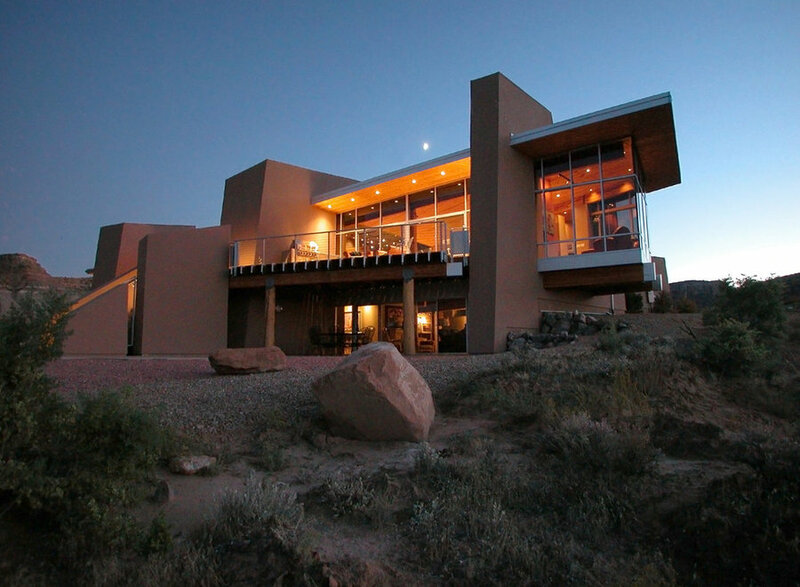 photo: Jim Gempeler, GMK architecture inc. 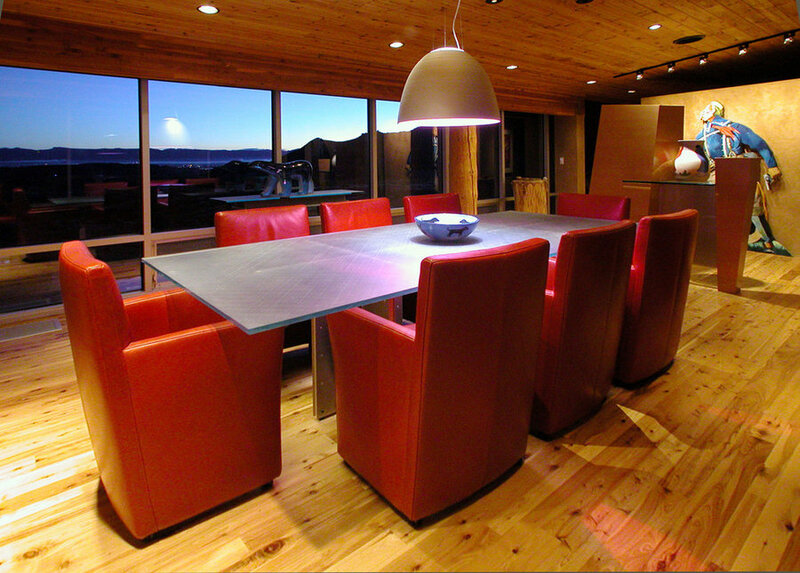 Dining Room with view of Grand Junction valley. 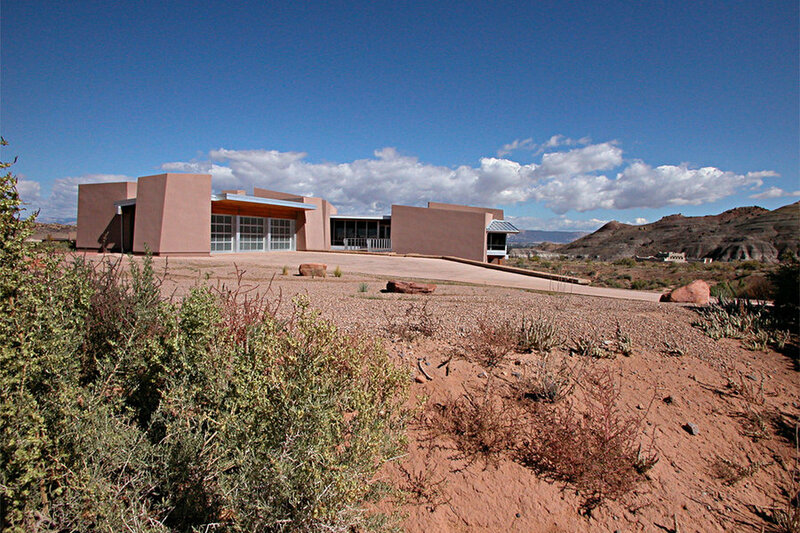 photo: Jim Gempeler, GMK architecture inc. Living Room view from Kitchen. 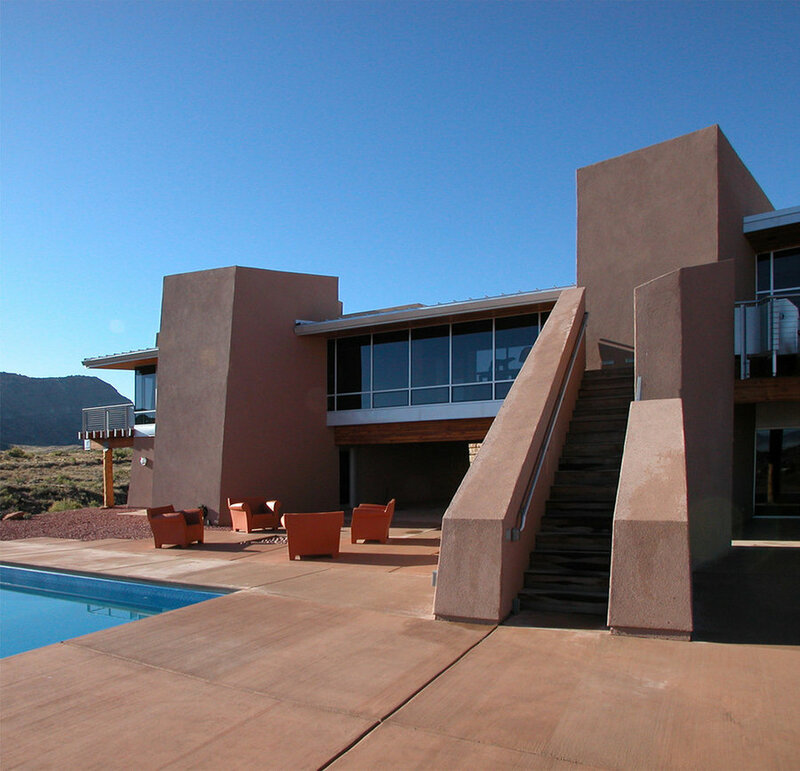 photo: Jim Gempeler, GMK architecture inc. 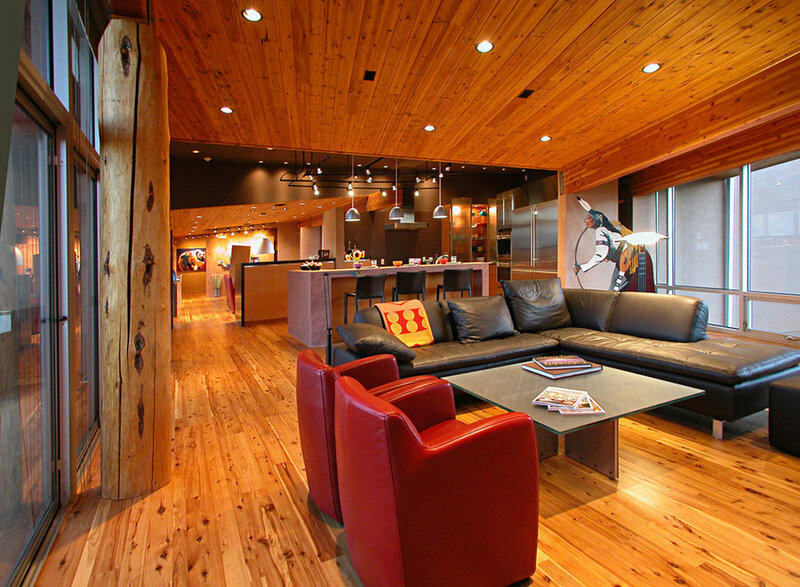 Living Room with view toward Kitchen. 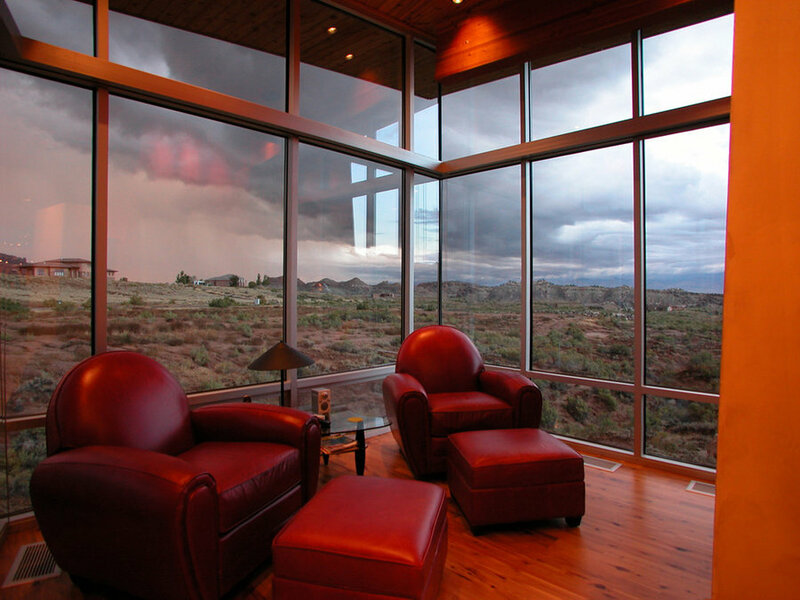 photo: Jim Gempeler, GMK architecture inc.
panoramic view from interior Lounge. 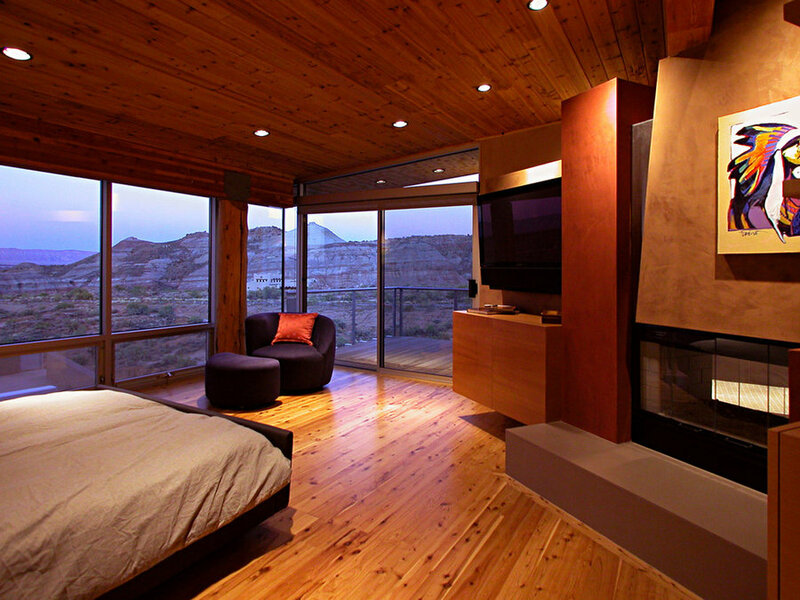 photo: Jim Gempeler, GMK architecture inc.
Master Bedroom fireplace and panoramic view. 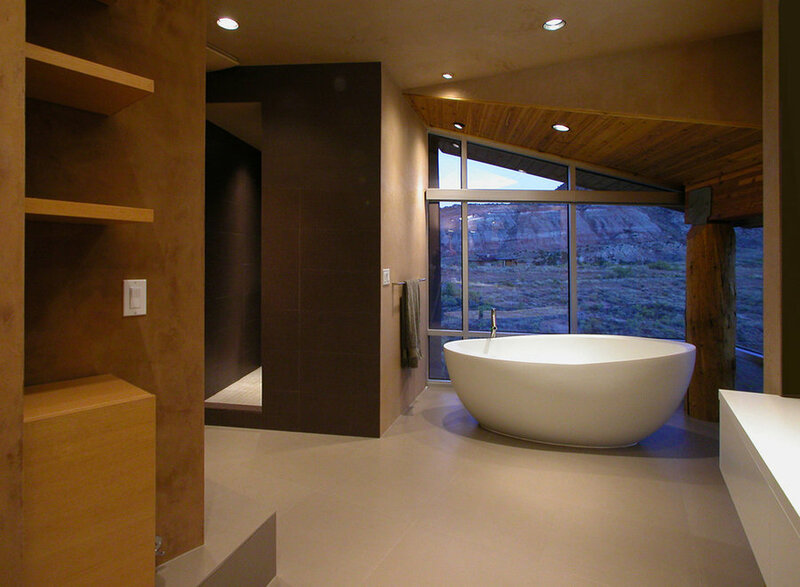 photo: Jim Gempeler, GMK architecture inc.
Master Bathroom with panoramic view from tub. photo: Jim Gempeler, GMK architecture inc.
fireplace view from Master Bathroom tub. 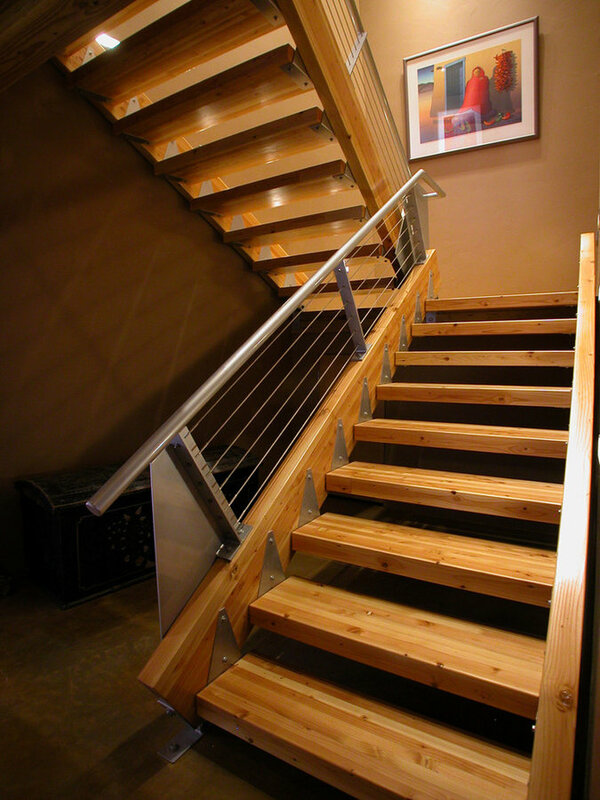 photo: Jim Gempeler, GMK architecture inc.
interior stair. 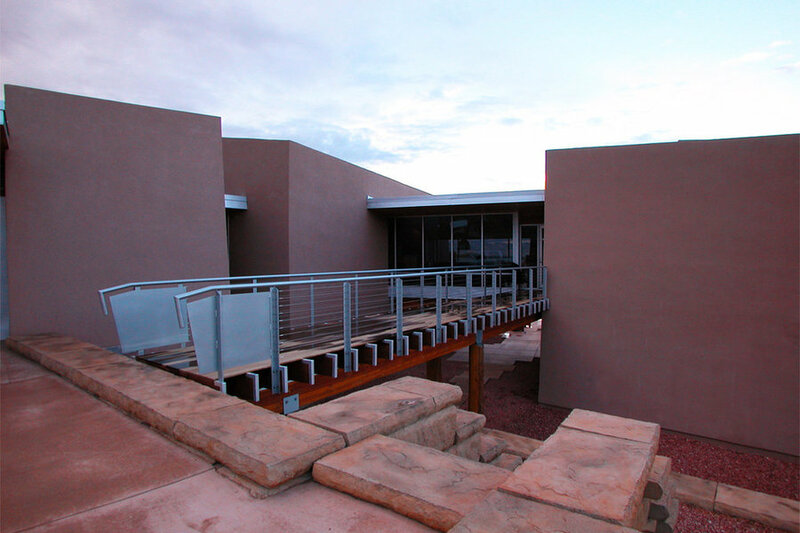 photo: Jim Gempeler, GMK architecture inc.